My favorite features are the large panel zip opening, the mesh back panel, and the comfortable shoulder straps. I brought it to Kauai and hiked 25 miles over the course of 5 days. It fit inside my large rolling suitcase, which is something I will need to do again when I’m on a tour of Portugal prior to my Camino. I also used it on the Walk in the Redwoods. A few people who haven’t walked the Camino yet seemed worried that it wasn’t going to be big enough, but the veteran pilgrims approved of the drastic downsize. I do not want to be weighed down with extra stuff and put more strain on my body. 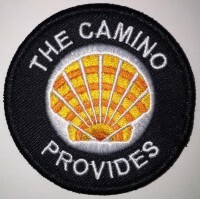 I know that the Camino will provide. Below are a few photos from my hikes in Kauai. It was HOT, so it was a great opportunity to see how this back mesh panel kept my back cooler. The Hawaii Warrior visor saved me! Kauai, I love you forever! 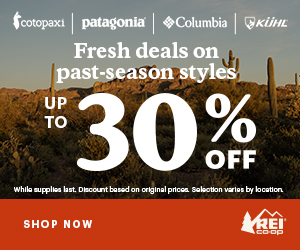 The Osprey Sirrus is currently priced at $119.95 and can be purchased online from REI. Osprey Sirrus is the blue one pictured on the left. The orange pack on the right is Osprey Stratos 24 that sells for the same price and is unisex. I LOVE my Osprey pack too! My fiancé and I are going to Kauai next month for our honeymoon! Congrats Kris! Kauai is a great choice for honeymoons. If you are thinking about hiking, I’ll share the hikes I did. That’s right, you got the Orchid one! So pretty. Yes, I think it should be large enough for the Camino Frances too. It’s exciting, isn’t it? Thanks for the great tips, Mike. I have a light sleeping sack that has some kind of bedbug repellent. Someone on the APOC facebook group recommended using the rain cover as a pillow cover. Still undecided on the hats. This is the pack I used in October on the Finisterre Way. It was perfect. Make sure you get all the straps set corectly and tightened up for maximum comfort. The internal water bladder was great, I loved the convenience of the hose, no reaching for water. I also liked the small top pouch for things you need in a handy spot, like chocolate and toilet paper and some ready cash, OK I have strange priorities. Hi. I found your blog through a search for the Traverse on YouTube and then Google. You are brave in packing this light for the Camino! I plan on using the Osprey Sirrus 24 for a Hadrian’s Wall Path hike this summer but as my daypack. I will have a larger pack my clothes and other stuff and will get a luggage service to take it from accommodation to accommodation. I guess I’m taking the easy way out! Anyway, I’m glad to hear that the Sirrus 24 works for you; I still have to test mine but I hope it will work too. Hi June, Thanks for visiting. I know it sounds like I won’t be able to fit much, but that is the point. Everyone I spoke to wished they brought less. My initial pack test was only 11 pounds and had room to spare. I will post my final packing list soon as I leave in 2 weeks. It’s getting real! I read your backpack review article and wrote it very well. Are you interested in helping me evaluate a backpack? That looks like a nice daypack.